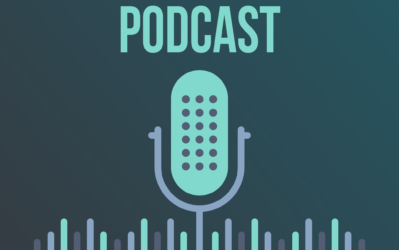 It’s been a while (about a month to be exact) since we’ve recorded a podcast on our Amazon FBA business. And believe me, we’ve wanted to talk to you guys about it. We’re more excited about our Amazon FBA business than pretty much anything right now (aside from maybe Long Tail Pro 3.0.). But we couldn’t because our business was at a total stand-still (more on this below). 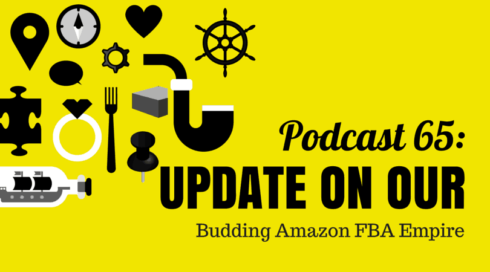 But today, we’re back at it, and we’re ready to fire up another podcast episode about our Amazon FBA business. And you’re going to love this one. We’ve got a lot to share, a lot to be excited about, and a lot of big dreams to chase. How’s it all come together? Check it out. We started the Amazon FBA business a few months ago. Spencer researched a product, contacted manufacturers, and got the product listed on Amazon in his free time. Really, we just wanted to see if it would work at all because we had a few colleagues who were making a killing. We sold out of that test order in 40 days and made about $6,000 in revenue. And we knew we had a winner on our hands. So, of course, we wanted to restock our inventory as soon as possible. We also figured that if we found one winner, we could certainly find others, so we wanted to spend some time expanding our inventory to include other products in the same market. So, shortly after we sold out, Spencer put his nose to the grindstone to (1) get our winning product back on the market ASAP, and (2) research other products we could sell under the same brand. The product had to wait in line to get through customs (which is fairly common when shipping internationally), and the product sat in the port for a little over a week. And really, these are just growing pains. We did not expect to sell out of our very first product in 40 days, and we kind of had to scramble to get it up and running again. Was it a big deal? No. No one likes waiting, but when you’re in the physical products business, some stuff just takes a little more time, and that’s okay. But that’s the general reason for the radio silence for the last couple of weeks. Earlier this week, we finally received our shipment from China, and after sitting in an LA warehouse for a while, we’ve shipped it off to Amazon, and it should be live in a couple of days. From here on out, we’ll be keeping very close track of our inventory, and if a product starts to sell, we’ll be ready to put in orders much sooner to stay stocked up and keep the money rolling in. Before we really get into some of the juicier stuff—like profits and revenue—let’s chat about some of the things we’re doing in the next phases of our business. We’re using a different shipping method. When we ordered our test products, we wanted them here fast. We wanted to prove the business model as fast as we possibly could, so we would know whether or not we should even be spending our time, energy and money on this stuff. To do that quickly, we had our test batch shipped by air, which is considerably more expensive than other shipping methods (but it’s the fastest). Because it’s so expensive, it cuts into our margins. With our current batches, however, we’ve been shipping via ocean freight. It’s much slower (it takes a few weeks to get from our manufacturer to the United States). But it’s also way cheaper. In fact, shipping is one of the biggest costs associated with selling physical products, so cheaper shipping can mean a much bigger bottom line. To give you an idea of exactly how much cheaper: shipping over water costs about a fourth of what it does to ship something by plane. That’s a major difference—especially because we’ve got a slightly bigger, slightly heavier product. We’re going to be managing our timeline differently (and better). We now know it can take up to six weeks to get product from China to Amazon’s warehouses. And our product is doing very well, so we do not want to be out of stock. And it’s not because Amazon docks your rankings or anything (we actually found the opposite: we got to put our product back online after a few returns, and our product immediately sold out again). No, we want to stay in stock because we want to keep this gravy train rolling. To do that, we must manage our timeline differently. We know we can’t wait until we run out of stock to order more inventory. It depends on the trend of the product. Because he’s been watching it so closely, Spencer now has a pretty good idea of what the upper limit is for daily sales, which means he also knows how fast we’ll run out of inventory if we approach our maximum velocity (units per day / total units). When the product goes live, Spencer will be tracking the trend to see how quickly the product is approaching the maximum. For this particular product, that’s about 10 units per day (with our current marketing and Amazon rankings). If we hit that number and sustain it for a week or so (enough that we’re confident sales will keep up at that rate), we’ll order more product. There is kind of a fine line to walk here, though: you don’t want to run out of stock, but you also don’t want to invest more than you need and deplete your capital. Plus, for new sellers, Amazon only allows you to stock so many units anyway. So it’s a bit of a dart toss, and it’s something we’ll get better and better at as time goes on. For your businesses, the lesson is just to understand the upper sales ceiling for your specific product and just do the math to see when you’ll run out. Then, order more units with plenty of lead time. We’re planning for unforeseen hiccups. This is not a niche site. You are not in control of everything. Heck, man, you’re not in control of most of the stuff that has to happen to get a product listed. These are physical products. There is a lot more potential for things to wrong. There are a lot more people to depend on. We’re trying to expand this business fast by adding more products. 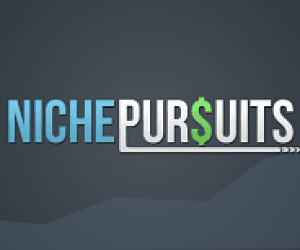 If your niche site’s doing well, what do you do? Add more content, right? The same principle applies here, too, expect it’s physical products instead of articles. We want this business to take off—and we want it to happen, like, yesterday. So we’re going to be adding as many products as makes sense. For now, that means we’ve ordered four more products in addition to our winner. First, these products are all in the same market. That’s mostly because we’re building an entire niche site around our products, and we’re kicking around the idea of turning it into a full-blown eCommerce store. That’s very hard to do if your products are all in different markets. We also want people who buy one of our products on Amazon to possibly buy some of our other products. It’s like the old adage goes: “The best customers are the ones you already have.” We have a much greater chance of capturing those repeat buyers if we can offer them products we know they’re interested in. Secondly, Spencer researched these products in the exact same way. We looked at what else was selling. We looked at how many reviews they were getting. The only difference between this round of research and the last is that we’ve already validated the market in general. But otherwise, it’s the same stuff. Perhaps the most important lesson here, though, is that Spencer was specifically looking for other Joe Schmoes like us. This is exactly what we do when building niche sites: we look for sites just like us that are already ranking and doing well. It’s the cornerstone of our market research. You can do the same thing on amazon. In other words, if we’ve said it once, we’ve said it a thousand times: competition is a good thing—especially if they’re people like you. Thirdly, we’re split-testing being “the one.” Remember this podcast and this blog post? We do! We got a ton of feedback on this post, and there were loads of amazing comments—some arguing for the idea of being “the one” (being unique in your market) and some arguing against it. So we’re doing what any good marketer would do. We’re testing it. Of our four new products, 2 have unique features (making us “the one”), and 2 are just straight up private label products. (And when we say “unique”, we really just mean that no one else is selling the exact product on Amazon…our manufacturer was already making this product long before we came around. We didn't make any special requests to our manufacturer, but we are unique to Amazon). We feel pretty strongly that it’s a better long-term business decision to be more unique, but there are lots of people having success with both types of products. We want to see what works in our market, and we want to reach a more conclusive answer for you. We’re slowly but surely developing a good pricing strategy for our products. With our first product, we were mostly guessing. In addition to our costs being way higher than normal (because we used more expensive shipping), we didn’t really know what price would actually move the products. With our new products, we have a much better idea of how buyers operate in this vertical. We also have a much better idea of how much money we want to make. So here’s where we’re going to price the new products (to start): we’re going to price them to double our investment. In other words, we’re going to calculate the total cost for each product. That includes the cost of manufacturing, the cost of shipping, Amazon’s fee, and a conservative calculation for lost or damaged inventory. Whatever that number is, we’re going to price the products to double that. So, if our total cost is $2,500 all told, we’ll price the units to sell for a total of $5,000. In other words, we’re going to be trying to build a machine that turns $1 into $2. Of course, pricing can be tricky, and it’s something you have to test. If you’ve been following this case study from the beginning, you’ll remember that we actually raised the price of our first product by a lot to try to keep it in stock, and it just kept selling. We learned that we could price it much higher than we were. We’ll be testing all the products in a similar fashion, but to start, we’re going to price them to double our money. 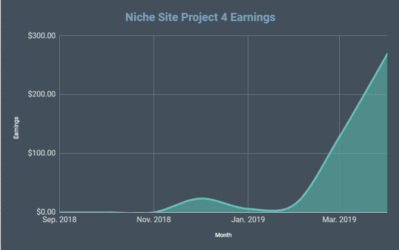 Yes, we’re still building a niche site! Yep, we’re still building a niche site around this business. That’s mostly my domain, and I’m trucking along. We’ve got some content up, and we’re experimenting with a lot of new monetization and link-building strategies. We’ll report on that soon. We were also greatly inspired by our last podcast guest, Steve Chou, who built an eCommerce store with his wife that replaced her 6-figure salary in the first year. Steve mentioned that he sells on both Amazon and his own site, and that he often uses Amazon FBA as a cheap way to test and see if a product will sell. Have any of you been dabbling in Amazon FBA? Where are you in your business? Let us know in the comments! Nice! When building your own ecommerce shop, will you still using fba for sending the products? Do you offer your product only on amazon.com? Thinking of scaling it to other marketplaces? Most likely, if/when we build an eCommerce shop, we’ll try to either stock our own product or dropsihp. We like the idea of selling in a bunch of different places, including from our own stock. Actually, I have a different opinion than Perrin. I am not very interested in stocking my own product. I will continue to use FBA for sending the products even after we build our own ecommerce shop and start selling other places. Only if it becomes VERY clear that we need to actually store our own inventory, pack it, and ship it will I do that. That’s not something I want to do…want to keep it as hands off as possible. Selling on Amazon has definitely come with its own set of issues for me, lack of funds being the biggest one. But, that’s where being proactive comes into play; I got a part time job (from home) to help pay for units and advertising. Can’t wait to get the ball back rolling. Nice! Get it started any way you can! You mentioned one of the boxes that contained your product dropped off the crane, what kind of insurance would cover product damage/loss like that? Are their specific insurances that do well for this kind of business (protecting the product from the manufacturer to the Amazon storehouses) or is that covered by the manufacturer? So much good information ; ) Thanks Guys! I don’t have any insurance that would cover this type of product loss. The manufacturer is done once you pick up the product in China; they have no liability there. I suppose there is possibly some insurance/liability that they Shipping/Logistics company may hold, but I haven’t looked into it. Great update guys. I’m giving FBA a try as well. I just placed my first order with a manufacturer and hope to have it on the shelves at Amazon in a couple weeks… but like you said, there could be issues during transport so we’ll see. Thanks for this compelling story line. I’m enjoying following your journey with FBA. When you source on Alibaba do you have the suppliers incorporate custom branding on the products? I’m thinking about sourcing some simple products with my sites branding on it and getting my audience to vote on products they like before actually doing any orders. Yes, I do have custom packaging/branding. amazing post i am starting with a wholesale product that is new and i have eclusive rights to sell on amazon. but i am doing private labeling to. My question Spencer is: How you building your site? what theme are you using? I hope your collecting emails on your site so you promote your second third or forth products to your list. Nice update….have you guys come across issues with trademarks or copyrights when dealing with Chinese manufacturers? 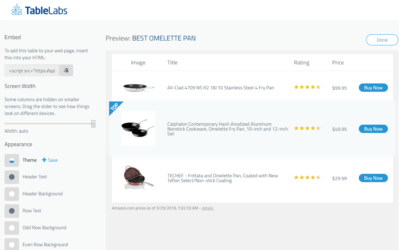 If you look on Alibaba, there are a ton of manufacturers that will supply a given product…..how do you know that if they make an item for you, say a set of kitchen utensils, that you are not violating some trademark or copyright? If they’ve been making the product in nothing but RED and you order it in BLUE, is that ok? Thanks. I haven’t run into any issues. However, each product will be different and you should check if its a concern. Trademark and Copyright issues are typically for naming and content…so this is not usually an issue. Patents are what you might have to worry about potentially. I’ve been doing Amazon FBA for a few months and it’s going very well. I use an agent in China to help me and it’s been a phenomenal asset. In fact, I’m developing a business idea around how to find a sourcing agent on the cheap, because of how helpful he has been during the entire process. But I digress. In to my comments! 1. Why do you produce custom packaging? It’s my understanding that Amazon won’t allow photos of the beautiful packaging that we create. I understand that it sets you apart from everyone else, but unless the customer reviews specifically comment on how awesome your packaging is, don’t you consider the expense unnecessary? 2. I’d be very interested in post on exactly how you guys promote your products. I’m using lead pages, social media, ads, contests, etc. but specifics on your marketing plan (what ads do you run, how do you build your lists, do you do contests, give aways, cross promotion, etc) would be of great interest as none of it would reveal your product, but all of it would be helpful for people doing FBA. There was a post like this on Shopify on how they created a product, every step they took, how they private labeled it, marketed it and sold it–it was a HUGE hit. Heck, I bet some of us would pay for content like that. A step by step guide would be invaluable. In response to question 1, packaging is a huge part of the customer experience whether people realize it or not. Speaking from experience, putting something in a nice beautiful box is way more likely to get good reviews. Also, it leaves open the option to sell to brick and mortar. 1. Packaging can definitely help win great reviews and possibly repeat customers. My “custom” packaging is essentially a one page graphic; nothing fancy or expensive. 2. I’m only using amazon right now. However, I’m slowly building up a bigger marketing plan. I’ll do more posts in the future. How are you handling Insurance? liability? and any regulatory requirements? US State sales tax etc? Shipping agent helps with getting through customs/regulartory requirements. Sales tax – taxjar.com. great post and podcast as always. Why didn’t you let your products deliver directly to Amazon from china? I did, essentially. The shipping agent simply landed the product in their warehouse…then they forwarded onto amazon. Im very happy to see you both venturing into the physical products realm as a change,afterall it has always been a digital product and this keeps things new and fresh. I just have a question,for non us residents who are alot and follow your blog,what advice can you give them to get started in the FBA direction ? 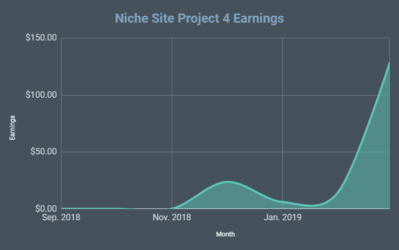 Btw i have written about you on my own blog and people seem to like it,especially how you have mentioned in an earlier post how easy in comparison it is to generate about the same income from FBA than from a niche site. Anyways good luck and waiting for your reply. Amazon currently offers FBA in a number of countries. Also, even as a non-resident you can import products into America quite easily- essentially all you need is a customs broker to sign for you as the “Importer of Record”. You can do FBA in lots of countries…and even in the US, even if you don’t live here. Great post Spencer. Would you mind sharing the ocean freight company that you used? Did the company send the product up to Amazon warehouse or did you use any prep service for that? I didn’t use any prep service; straight to amazon. Great podcast Spencer. Having your order pushed lower on the priority list after the first order by your Supplier is a pretty common tactic and might become even worse on future orders. On future orders, you must consider asking for a late shipment penalty of 1% per week or so- even if you never enforce it, it at least sets some boundaries with your Suppliers and places your orders ahead of their customers who don’t have such requirements. Thanks for the heads up David…great points! I really enjoy listening to your podcast. I especially like to listen to what you have to say about Amazon FBA. the legal stuff when opening an FBA shop. What about Terms & Conditions, what about refund policy, what about competitors who like to push you away from the plattform etc. pp. Isn’t there anything one would have to worry about when stepping into this business model? I have a legal entity set up. A shipping agent helps meet lots of the other importing requirements. Amazon handles all returns, refunds, customer issues (for the most part). I didn’t lose ANY momentum. In fact, I’ve finally gotten inventory back up after about 1.5 months of being out…I’m back up and selling REALLY well almost from day 1. I cant explain how much of a relief it is to hear that! Keep up the great work, I will be sure to check back in and let you know how things go after I restock everything. Im sure you were very anxious/nervous to see how it would perform. Who are you using for freight forwarding? I am having the worst time finding a fright forwarder for air freight and possibly ocean freight. Any help would be greatly appreciated. Thanks! I was asked by the person that referred me to their freight forwarded not to share it on my blog; so I can’t unfortunately. But I think UPS might be an option? Might be worth checking. I would like know what is your strategy in the first phase to get reviews in your products…. I hear rumblings the gold rush of FBA has peaked and is on its down slop. I sure as hell hope not, I’m about to get a product ready! I’m not seeing any slowdown. Hi Spencer!! Sorry for off-topic question. I attended your seminar on Long Tail Pro. Quite impressed with new layout and platinum version. Could please help regarding one issue. I cant find exact/broad/ phrase options. Is it eliminated? later version have these features. We removed broad/phrase/exact options about 2 years ago. It was a google change. All data is exact match. that why I always make late decision it’s a great products and i like it . Hi Spencer, quicky question, do you have the manufacturer send the products directly to Amazon warehouse? Or do you have it sent to you first and then you get it picked up by courier to send to Amazon? 1) You reveal the manufacturer that you are selling it through Amazon FBA. And particualrely in case you have your product slightly customized that could give the Chinese supplier unnecessary information, which they could start up their own to sell through Amazon or something, not great info to tell them I guess? 2) If I understand correctly, if the supplier sends directly to Amazon it’s being sent just to one Amazon warehouse which may mean slower delivery times to customers. I have heard that there is a big advantage to having the products shipped to your own address and then use Amazon discounted UPS account, UPS may distribute your products to different Amazon warehouses which may mean customers ordering from Amazon would get it quicker as it’s in multiple warehouses. 3) Having it shipped directly you may not be able to physically examine the product yourself. You may have got samples from the manufacturer, but there’s always a chance (and I have heard it happening quite a bit) that samples the manufacturer sends you may differ slightly from the end product being sent to Amazon, so you may find yourself with slightly different products in Amazon warehouse without even knowing it. I have heard on the amazing seller podcast, scott urges customers to always have the product sent to them and never directly to amazon. Would really appreciate your take on this. No, my manufacturer has the product picked up by my shipping company. The shipping company then sends it to amazon. But on your first shipment I thought you shipped air so didn’t even need a forwarder and just used DHL/UPS/FEDEX or some other courier directly from the supplier to Amazon no? And also, when your shipping company picks it up from the supplier, as far as I know you also have to send to the supplier himself the destination address (i.e. Amazon?) Or does the supplier only knows someone picks it up from their factory and other than that is not explosed to any other details?!? Yes, I still needed someone to get my product from the manufacturer to the airplane and then from the airplane to Amazon. The manufacturer doesn’t know that my product is going to Amazon; they just drop it off in Shanghai or whatever port…that’s it. Thanks for the update! I’m looking forward to see how this progresses! I’m just bought Long Tail Pro and I’m starting my first Amazon affiliate niche site that I may eventually want to convert into an Amazon FBA business. Just one question: I have 2 domains, both with 0 authority or backlinks, but one is expired/3 years old, and the other is brand new. 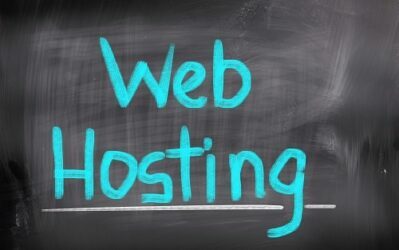 Would an aged domain have an advantage even if it has no authority or backlinks? Probably not much of an advantage. I would go with the domain name that you like better. If I’m not mistaken, you’ve found quite cheap but high quality writers from Philippines some time ago. Can you send email me their profile or share their contacts with me, please? He may be right that FBA is limited in time. Make hay while sun shines. I am amazed at how fast you guys learn a new industry. I’ve been watching as you’ve learned the ins-and-outs of manufacturing a retail product. You’re digital guys, so on Day One, you didn’t know all the hiccups you’d experience–but any of us corporate retail guys could have predicted every one of them. (Like Mr. Bryant above pointing out existing customers get pushed back in priority at the factory. Yep.) Likewise, you teach me things about SEO and keywords I didn’t even know that I didn’t know. I need to discuss margins with you though. You are excited about turning $1 into $2 (we call that “keystone” by the way)–well, don’t be. Keystone is an average retail markup from wholesale. BUT YOU ARE THE WHOLESALER–you’re the guy manufacturing it (or having it manufactured anyway). After you figure your Cost Of Goods (the formula you mentioned is correct, cost + shipping + licensing + shrinkage, etc.) you want to double that for your WHOLESALE price, not your retail price. So (not knowing what your product is) if it cost $1 landed, you should be wholesaling it for $2, then retailing it for $4. 90% of retail gift items are priced this way. That’s why wholesalers will set up an ecommerce site and also sell retail (many times under a different name) — because if they order 1000 units at $1 each, and wholesale half of them at $2 and retail the other half at $4, they turned their $1000 into $3000. Jewelry has higher mark ups, as does electronics. (Food, on the other hand, even pre-packaged gift items, have margins much less than keystone.) For jewelry (or a phone charger), you might see $1 cost landed, $2 wholesale, $12 retail. In that case, using the same 50/50 wholesale/retail ratio as above (which may not be true for all products) they turn their $1000 into $7000. Batteries are the same way (that’s why they are at the check out stand as an impulse item). So if your mystery item retails on Amazon for $69, you should be able to double your money when you wholesale it to a brick-and-mortar store for $35. Which means you don’t want to have a landed cost that exceeds $17.50. So, now your task is to find how many you need order to get it down to $17.50, or find another factory. You need to go to ASD in Vegas next month, you’ll be amazed at how cheap you can get a $10.00 retail item. Also, they have a manufacturers pavilion, so you can talk to factory owners from China (and elsewhere) face-to-face–it’s like an in-person alibaba. I’m fairly new to your blog, but I’ve been devouring it since I found it. I love the way you think. You remind me of me when I was 22 !!! Jon, thanks for the GREAT comment! You are SO right that I’m a complete newb at this stuff and have a lot to learn. But the good news is that somehow I’m still making money. I will just say that I probably didn’t explain how I was calculating profit margins very well. And I certainly wasn’t using all the right lingo (keystone…wha!! 🙂 ). However, I DO think I am calculating my margins correctly. So, while I am the wholesaler…I also set the retail price on Amazon. For example, my landed cost of the product I’m currently selling around $17. I’m retailing it anywhere from $55 to $70. Amazon fees are based on my retail price, so depending on the price I set they charge anywhere from $15 to $17. I don’t know that it matters what my theoretical “wholesale” price is. I just know my profit is $70 revenue – $17 amazon fee – $17 landed cost = $36. I call that about a 50% margin ($70 revenue / $36). (These are not exact and could fluctuate with prices I set…and there will be some returns/losses in there). Again, I have a ton to learn, but the margins are working out just fine for me. Am I still missing something here? Thanks for the Podcast! You mention that Amazon lets new sellers stock only so many units at a time. Do you know how many? What the restrictions/ limits are? I was trying to find out but the only info I came across was a calculator on Amazon FBA page that would tell you what your storage costs would be if you provide exact dimensions of the product. Small units is 5000. Oversize units are 500. You may have to google for dimensions. GREAT post! I am recently retired from being an engineer/inventor and want to look more closely at this fba biz model. I currently live in Thailand. Are there any disadvantages by me being here and not in USA anymore? Are any hands-on tasks absolutely required? I plan on getting my samples(s) shipped from where-ever-in-asia to here in Thailand.. but thats all i can think of that needs my own eyes. Correct? This is sooooooo different for you guys from a a year ago with pennyshaved!! love it! I see no reason for anything “hands on” in the US. You can get your samples sent to Thailand. Once you are happy, order your units and have them shipped to Amazon. You can use a service to check your units for you either in China or US before it hits amazon if you need to check quality…but its not necessary. Sorry to hear you’ve been struggling. I’ve just hit on a good niche and things are going well. When you decide to create a new product that’s not already in a mfr’s catalog, are you planning to patent it first so that no one steals your idea or tries to private label it?